Dynamic Math Software Spotlight: Google Doc's Spreadsheet. 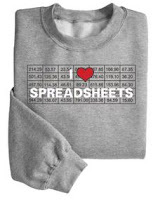 One of the dynamic math software programs that doesn't get the credit it deserves is the spreadsheet. It’s also underutilized in schools despite the fact that Microsoft's Excel is installed on nearly every PC. Today there is growing trend towards using Web-based versions of which Google Docs Spreadsheet is the most often mentioned. The spreadsheets potential as a dynamic algebra program has been touted over the years but not a whole lot has made it more mainstream. 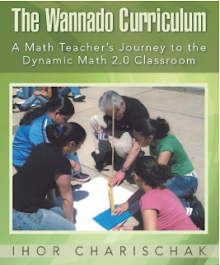 Wendy Petti‘s A Dynamic Path to Understanding Math is a significant contribution. She has created a series of Excel worksheets containing many interesting and engaging activities using the spreadsheet as a platform for interacting with them. (You can download the Excel file from her link above.) Future teacher collaboration may produce Math 2.0 versions of these activities that use online spreadsheets that would also make it easier for students and teachers to discuss, adapt and update these activities. Included on Wendy’s webpage are references to interesting articles from NCTM publications. In my last blog I mentioned the difficulty of discussing the Illuminations lessons with other teachers. Patrick Vannebush manager of web-based projects at NCTM informed me that NCTM is planning to roll out (in early 2010) a comment field on every Illuminations activity website. That's great because now visitors to the sites will have any opportunity to comment and read other comments about the activity without having to go to Facebook to post a comment! Math 2.0 online conference (April, 2010) planning group met on Elluminate on November 11th 2009. The archive of the one hour session is available here. 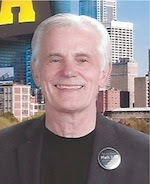 Please let me know if you would like to participate in some way in this ground-breaking grassroots event.